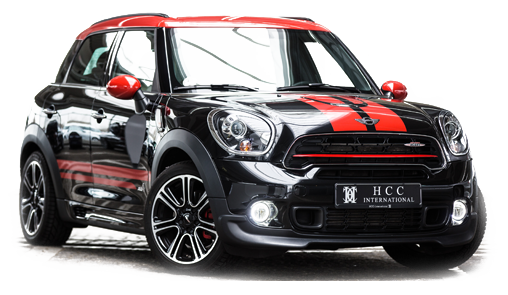 HCC-International represents the values of the Automobile. When, like us, you choose high-quality brand values, you choose “class” and not “mass”. Automobiles are our passion. We would like to impart this fascination to you. An excellent service offer as well as high customer satisfaction are the most important things for our company. All our vehicles are supplied with a 2-year TÜV (equivalent to MOT) and AU (emissions test), as well as a vehicle-safety test (FSP) condition report or DEKRA stamp. For our new used vehicles, there is the possibility of acquiring a subsequent new-vehicle extended warranty for up to 3 years. We will be more than happy to explain this service offer to you at our dealership. New vehicles or one-day registrations at HCC-International are all covered by factory-based warranties of between 2 and 7 years starting from the first registration (depending on the particular manufacturer), which can be redeemed at any contracted garage. This offers you an all-round feeling of safety wherever you are. As a company subject to the quality standards of BVfK, we guarantee the best service with our name. We are also involved in activities outside Germany: We are on the board of advisors of the European Car Dealer Association (ECDA), allowing us to make a contribution to service, quality and sustainability on a European level. Glass service, tire service, climate service, vehicle care and more.